The Handi-Move advisors help people with a motor disability to find the best solution to be transferred and cared for at home. They will visit you to give you advice on individual lifting problems. 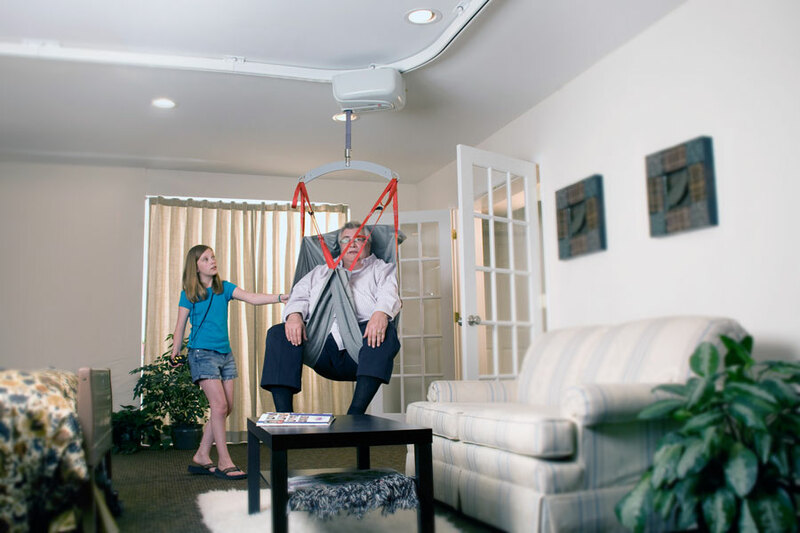 If your abilities allow, you can use a continuous ceiling track and motor to move conveniently and independently between rooms. 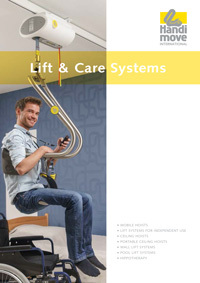 Access the bath on your own with a Handi-Move Body Support or Seat Sling. You can also move independently from a wheelchair directly into a tub. Ask your Handi-Move representative to work with you to design a system that allows for access to the tub, the toilet and the bed.